Home » Night Fishing: Which light do I choose? Once the clocks go back, the thoughts of many anglers turn to cold, productive night fishing for winter species. Fishing at night is one of the most productive times, fish feed more vigorously when the light fades, those who hunt by smell and feel come out of their hiding areas in search of food. While night fishing is productive, it means the angler has to take steps to make sure they can see to tackle up, prepare baits, identify bites and of course, land their prized catch! 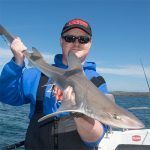 While there are plenty of anglers out there who prefer to illuminate half the beach with traditional tilly lamps or newer LED light versions, there are plenty of anglers who prefer to travel lighter. Tronixpro has an extensive lineup of suitable, lightweight lights, at various price points, that can illuminate your fishing spot perfectly during those long winter sessions. All of our headlights feature LED lights. These are powerful and energy efficient, reducing the number of battery changes. They also have the advantage of being lightweight, gone are the days of needing separate battery belt packs with cumbersome, heavy batteries, and there is no need to carry spare bulbs either. 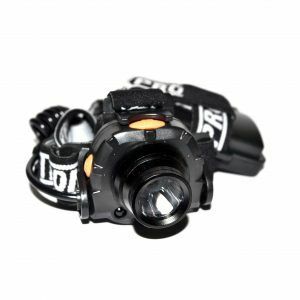 The cheapest of the offerings available, this light is suitable for beach anglers who are only using a low powered headlight for baiting up and checking for bites while night fishing. It features a single LED which is surprisingly bright. An elasticated, adjustable head strap makes for comfortable wearing. It takes three AAA batteries which give plenty of power, and longevity. If you’re in the market for a simple light or even a backup in case your main light packs up, the Multifunction light is ideal. Read more or find your nearest stockist. The next offering in our range is our standard headlight. It features a powerful LED bulb which throws out an impressive 160 lumens of power. 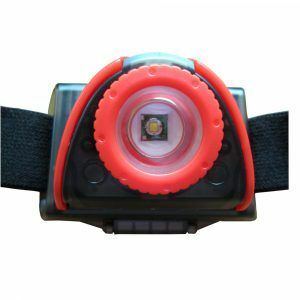 It has an adjustable magnification ring which allows you to turn the light from a spotlight to a floodlight easily. The light also features motion sensors, allowing you to turn the light on by waving your hand in front of it, eliminating the need to fiddle around for the button when the light is needed. 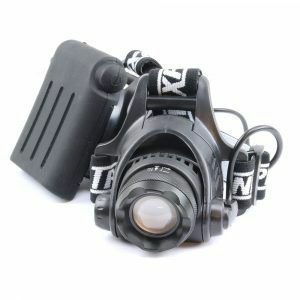 The Tronixpro Headlight is the ideal light for the beach angler when night fishing as either a main light or backup giving you plenty of illumination to bait up, spot bites and highlight areas of the beach. Read more or find your nearest stockist. Our main light, the Tronixpro Search has been designed for all types of night fishing. It features a powerful LED light which kicks out 400 lumens of power, ideal for both the beach and rock angler. The 400 lumens LED bulb gives you plenty of light to pick out your path down to your mark safely and helps when spotting objects in the sea in front of you that might need to avoid. The powerful spotlight is ideal when fishing on rock marks or structures where you need to identify where the fish is before landing and picking a safe route to do so. The focus ring is metal and sturdy and built to last. It features an adjustable, elasticated strap and a battery pack that takes both standard AA batteries and rechargeables. Read more or find your nearest stockist. A handy light to have in addition to any of our headlights. Ideal to be kept in your tackle box to illuminate it when preparing gear, tying rigs or baiting up. It also features a stainless steel handle which can be hung on a tripod to light up your immediate fishing area, acting as a compact, but powerful basecamp light. 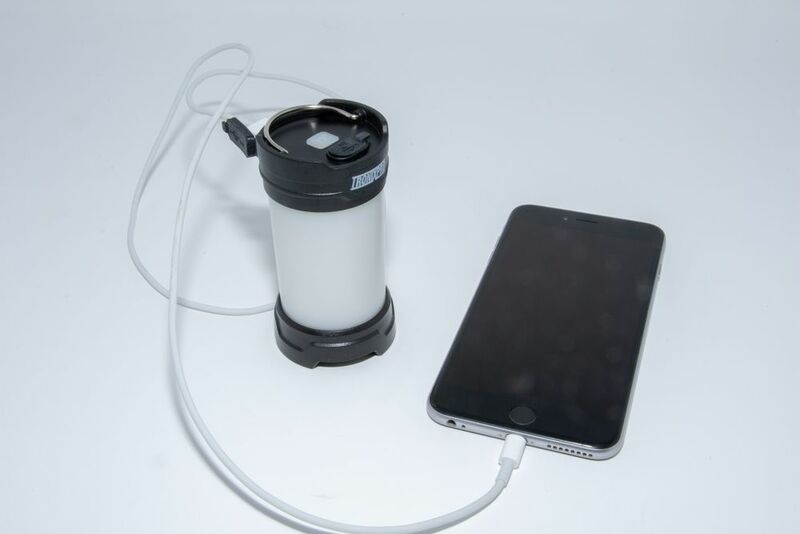 The light also features a USB out connector, so it can be used as a mobile power bank to charge up your phone or other accessories. It comes with 3 x AAA batteries but can also run off a 18650 battery. Read more or find your nearest stockist. Also useful at this time of year is our range of tip lights. Tip lights can be attached to your rod tip to alert you to any activity without having to switch on your headlight. We produce an extensive range of tip lights to cover all budgets and requirements. The Tronixpro LED Clip-On Light is a super bright, long lasting tip light available in green and both 3mm and 4mm sizes. The Tronixpro MKIV Tip Light is another battery powered tip light that is long-lasting, and it also comes in six different colours allowing you to choose the best for your circumstances, personal preference or to pick two different colours to identify different rods. The Tronixpro Clip-On Tip Light is a chemical isotope light that features a moulded clip that attaches to the rod tip. These lights will last a session but are a one use item. The Clip-On Tip Lights are available in six sizes to suit all diameters of rod tip. The chemical isotope lights are also available without the clip on mould, and these can be taped onto a rod tip or used for other fishing applications such as inserting into lures. Tronixpro shore fishing rods come with identification points on the tip section, which are usually between the tip ring and second or third intermediate ring. We use a variety of different materials to produce this from a high reflective paint or varnished in tape which is super reflective when shining a light on it. Some of our rods also feature a phosphorescent tip, such as the Tronixpro Naga MX, which glows in the dark so you can see bites without using a light or using a tip light. These styles of tip are perfect for “charging” with the Tronixpro UV Torch, which has been designed to give a luminous boost to our lumo attractors, beads and tubing, but works equally well on these phosphorescent tips too.